We know a top pick when we see one, and that’s exactly what John Fisher is! Top handicapper in the nation. He’s on fire with college basketball and March Madness. +2317. Both these teams are 19-31. ATS this year so gauging any confidance on one of these teams is a handful. However, I’m going to go with the team that is enjoying themeselves in their 6 game winning streak and go against a Nebraska teams who has lost 7 straight and is having a hard time knowing how to win and more importantly have fun. Dez Wells has stepped up, his hame and frankly can’t be stopped one on one. Trimble is the engine that runs this team. Nebraska weakness in the Pt Guard position hurts them in games. This game seems like a trap but we will bite the cheese here. Terps win this 3 star. Ball Game. We complete a 3-0 Sweep with a Maryland win and cover! Northeastern and Stony Brook were earlier wins. We are Number 1.,,,love making money but better yet making other people money..thanks players!!! Very interesting. Vegas has adjusted its line because prudent HCs like myself have exposed a trend that is hitting almost 100% in tournament. When a team losses twice to another conference foe they have been covering and also winning outright the third time in conference tournament play. Wichita State got a dose of that yesterday FGCU and INDIANA State the other day and on and on. 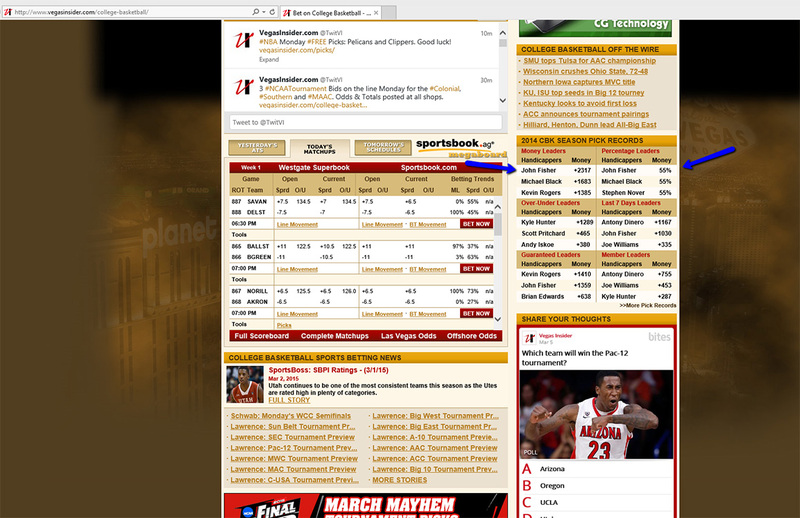 This time Vegas has made most of the teams that lost three times favorites …..making a complete adjustment. Today it’s Northeastern. They lost twice to UNC Wilmington in conference play yet they are favored? Interesting. Well I believe Vegas and I see something besides the trendy trend. Northeastern has shot FTs relatively well this season but for some strange reason we’re dismal versus UNC. Ft Shooting cost them both the games. Otherwise, they did what they needed to do. Make Threes and get to the FT line. UNC has a better defense but its offense sometimes goes stretches without a basket. Northeastern is favored for a reason. Thus are better in every category with the exception of TOs. UNC will have a +12 difference in TO to points but NE will have a +20 difference in FTs and 3 pointers. We will take them as well in this 3 star play. Vermont has been Stony Brooks nemesis for a few years. It’s time for a less heralded Stony Brook team to get pay back. I will go with the trend that is dominating play as of late. I said this before it started happening. Teams that have been losing two times in regular season to their opponents have been winning the third time around in tournament play. So I will stick with this trend and pick the Dog as they are getting 5 points. Teams are similiar in that they rely on defensive stops and transition to put away their opponents. In half court they tend to struggle. Look for C Warney to get a double double here. 4 Star Seawolves! Great comeback by the Seawolves. I said the Catamounts would not continue their three point shooting as they made just two in second half. Stony Brook came out with purpose and attitude to come out victorious after being down by 16! Yes we were unfortunate in our two,early games. Simply had bad breaks really. I had this on my menu and will play it. AGGIES are weak defensively as shown against a Wyoming team that won’t has less offensive talent then Rams. Rams struggle away from home with their defense but their offense is much better. I see value here in this game for the favorite. I like the over as well in this play. Look for each team to hit the 70 pt plateau. Offense is better then defense in this game. See each team hitting plus 8 threes. This will give us 5 plays. 3 stars only. We get the Daily Double players with RAMS and the OVER. It wasn’t. A sure thing as AGGIES played hard and hit threes. Avila showed leadership and dominated! When it looks too easy it never is….KANSAS missing a couple of players had nothing to play for stays toe to toe with SOONERS. Oklahoman defense is suspect to let this even be close.